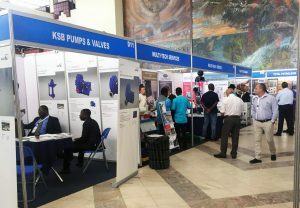 Exhibitors and conference delegates enjoyed a great second day in Accra and this morning doors open at 10am for the third and final day of West Africa's premier mining & power expo. The second day of WAMPOC 2018 opened with an examination of the energy sector – from new automation processes through to where West Africa stands with regard to future renewable solutions. Then Dr Nii Darko Asante, Director – Technical Regulation, Energy Commission presented a session on Ghana’s ‘abnundant gas supply’ and how this will be utilised to benefit the country. From there the day moved to look at health and safety, including improvements at small mines, and then moved to look at financing options with a strong panel offering some unique perspectives on the future of investment. 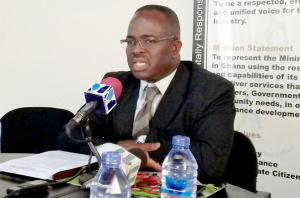 Suleman Koney, the Chief Executive Office of Ghana Chamber of Mines – a long-time partner of WAMPOC – praised organisers. He said: “A world class mining conference agenda is unfolding alongside the largest mining expo in the region as delegates discuss the pertinent issues of power supply to mines and innovations in power generation and emission control. Alberto Vicari of EBARA was impressed with the standards at both the conference and the WAMPEX exhibitor floor. He said: “WAMPEX has been good, we’ve met clients from Nigeria and Burkina Faso.